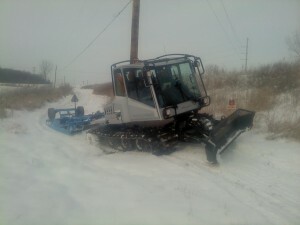 The Snowdrifters main groomer is a 2014 Prinoth TG with a mogul Master Drag . The TG unit was brand new in 2014 and completely computer controlled. The front blade is an 8 way snow blade. The snow processor has 7 blades for clearing the moguls off the trail. 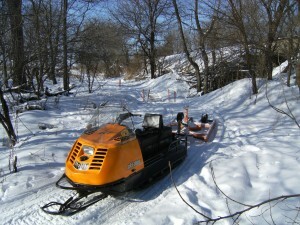 Dewey is a 1969 Bombardier SV-200 snow-grooming machine. Equipped with six different levers to operate its single blade rear drag, front blade and two more levers to control the two independent tracks. The engine is a 250 Ford 6-cylinder which has received several modifications over the years. These modifications include a conversion to an electronic ignition, refitted carburetor from a 1986 F-150 truck and a head from a 1982 Cougar that’s been ported and decked for higher compression. This drives a beefed up C-4 transmission which is cooled by a B&M oil cooler with an electronic fan. The hydraulics were modified to provide float capability where needed so it can maneuver over driveways without damaging the drag. 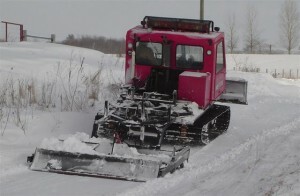 Last year (09/10) Snowdrifters groomer operators groomed 543 miles! 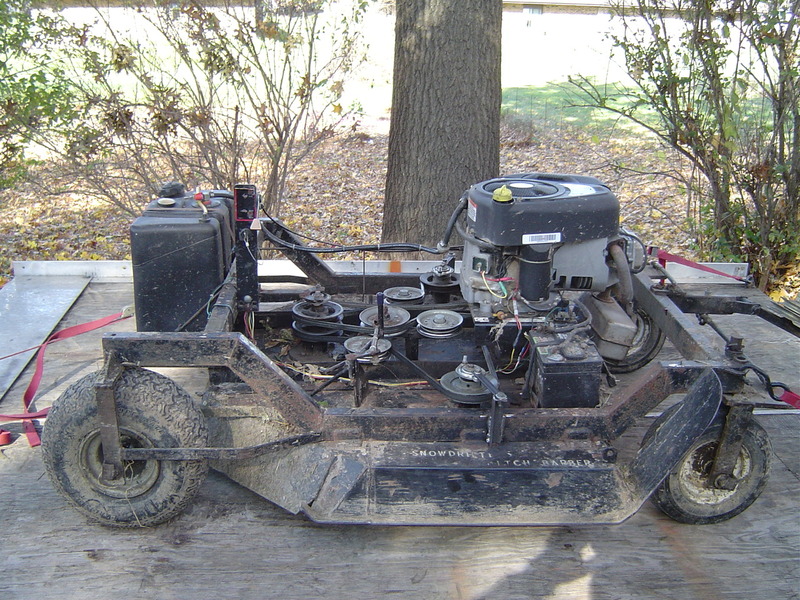 The club’s small trail groomer is a 1980 Ski-doo Alpine 640cc twin track snowmobile with a 4′ x 8′ home built drag. The drag has 12 volt linear actuator on it to raise the front blades or rear pan independently. The Club owns 5 mowers. Some are stock while others have been modified to fit club needs. 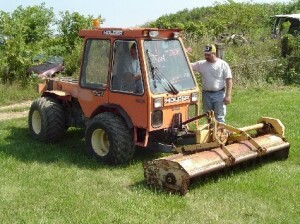 A custom built ATV pull behind mower designed and built by Mel Rinehart in 2008. 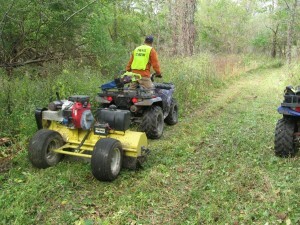 It is equipped with a 24 HP Honda V-Twin engine and makes a 58” cut. It uses Alamo-Mott flails and will eat just about anything you can drive over with the ATV. 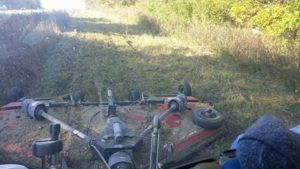 The Holder is a 4 wheel, articulated, 4 wheel drive power unit manufactured in Germany, with a front mounted, PTO drive, 88” Alamo super heavy duty flail mower. It is equipped with a 65 HP 3 cyl turbo diesel and was acquired by the club in August of 2004.